St. James’s Church Louth, on Saturday 23rd June at 7.30pm. 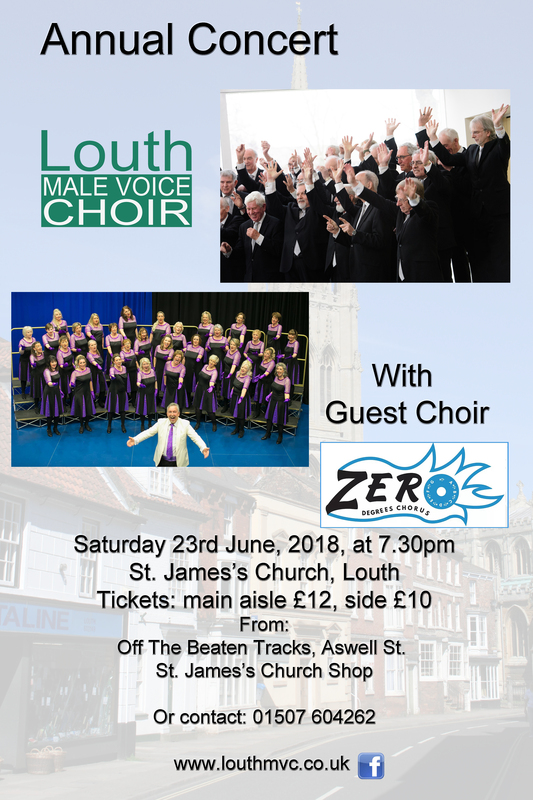 It should be a very entertaining night as we will be joined by Louth’s Zero Degrees Chorus. Zero Degrees Chorus are Louth’s all female A Capella group. They are proud to have started their journey as members of the largest group of female singers in the world, Sweet Adelines. Inspired by the love of close harmony in the a capella style, they currently have 35 singing members.